I had a cheesy grin. 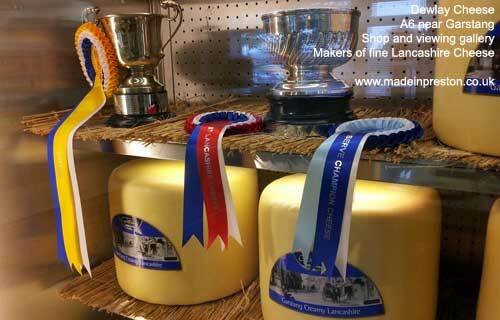 It was a visit to cheesemakers Dewlay just 8 miles north of Preston on the A6. 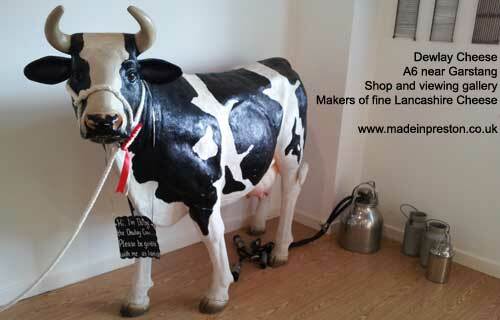 Their cheesemaking site has a viewing gallery, exhibition, meeting room and a shop. So we decided to pop in while passing. You can’t miss it with that windmill towering over the building. 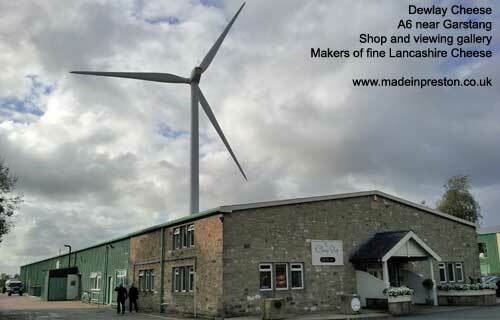 Set back from the road is a modern building producing all kinds of cheese including award winning Lancashire. The exhibition isn’t large but it contains interesting information and old cheese making equipment. Then upstairs is a long viewing gallery where the manufacturing cycle is explained on boards and you can see the cheese being made through windows. After that it’s off to the shop for some cheese and there are biscuits and other cheese related items. While we were there a talk of some kind was being arranged in the large meeting room. Not a big trip but worthy. This entry was posted in Food, Made in Preston, Uncategorized. Bookmark the permalink.